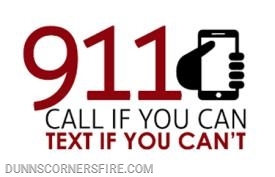 Duplication of text, photos, or any other content on this website is prohibited without the permission of DCFD. Feel free to look around and leave comments in our guestbook. You may also contact us via email. 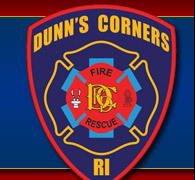 During Tuesday’s snowfall, the Dunn’s Corners Fire Department responded to a vehicle rollover on US Route 1. 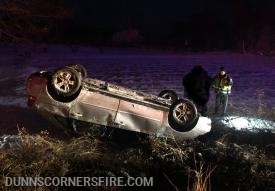 Charlestown Rescue and Charlestown PD also responded for assistance. As a reminder, PLEASE use caution operating during snowy/icy conditions. 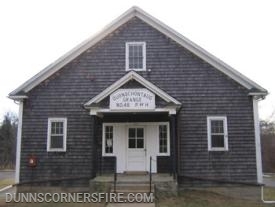 The DCFD responded to a reported structure fire called in by a 911 caller on West Beach Road. Firefighters quickily identified that the home was experiencing a significant chimney fire with severe blockage. Operations were conducted to extinguish the fire without extension into the structure. Special Thanks to Mcquades Ace Hardware! 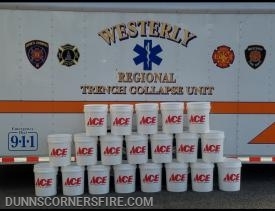 The Dunn's Corners Fire Department and the Westerly Regional Trench Rescue Team would like to thank Mcquades Ace Hardware of Westerly for their donation of 20 Buckets and several shovels. Our team will utilize the equipment to quickly move sand and mud from around victims of beach/trench collapse. The local support of our response mission and this community are truly appreciated. Previous "Front Page News" can be viewed in the News Archives. Thank you for stopping by! Feel free to sign our guestbook.